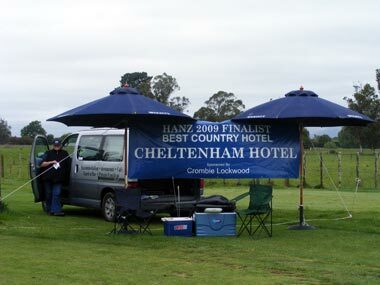 We believe the making of a good country hotel is all about having a great community spirit and offering fun for all. To walk into a country hotel and feel welcome where people want to know where your from, involve you in what's on that day/evening, receiving great service and make you feel welcome to come back again soon,we feel makes a great country hotel. 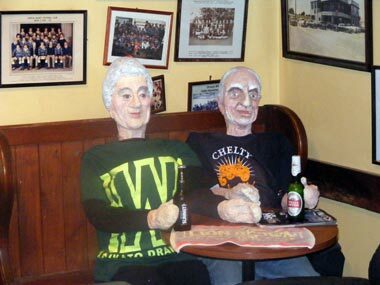 The Chelty has a long history in the district and will continue to do so for many years to come. We strive to supply top service with a smile, entertainment to everyone that visits the hotel from our locals on handle club night to the many visitors from across New Zealand and occasionally from Cheltenham, England who have popped into see their namesake. We have our animal residents who are typical to a good country hotel, two cats named Oscar and Chelsea. The animals are great at getting the locals feeling sorry for them so they get fed snacks many times a day. Chelsea the cat loves to have a game of pool every now and then. She is also totally fasinated when people play darts. New Zealand's famous Fred & Mertil mannequins from the iconic Invercargill paua house have become well known and loved at the Chelty. Who knows where they will be and what they will be wearing in the hotel. Come and find out!